For the construction of the pavilion must be rented the town land under construction. The main steps are the choice of the place of the pavilion and submitting to the competent state or municipal authority. The first step to building or installing pavilion - site selection. Trade will only thrive in a "lively" places, so the choice should be approached thoroughly. After you look around the land for the pavilion, will need to decide which pavilion you want to build. It will depend on what and when you will trade, huge choice of pavilions. For temporary, summer trading is very suitable pavilions of light structures that do not belong to the estate because they do not have strong ties with the land. 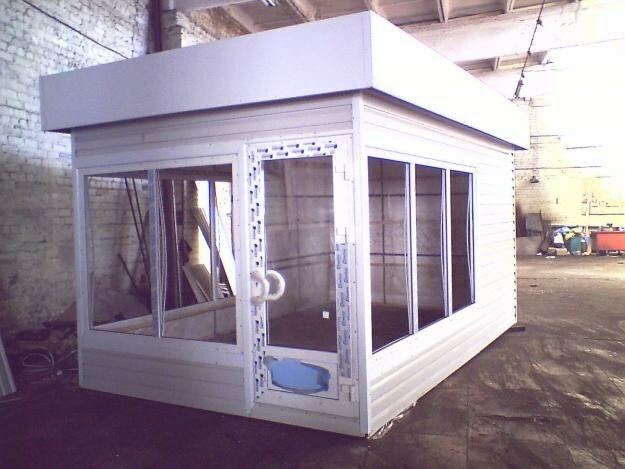 For other types of trading is more suitable pavilion with a basement in which will not be cold. This pavilion is a real estate. According to the law of real estate rights are subject to state registration in the organs rosreestra. In order to rent a land plot for the construction of the pavilion, you will be required to submit to the authorized state or municipal authority a statement of land plot selection and preliminary approval of the object location - the pavilion. The authorized body carries out all necessary procedures for site selection and to inform stakeholders of the impending construction of your pavilion. Decision on preliminary approval of the location of the pavilion, carried out cadastral works, land is put on the cadastral account. Then the body decides on the granting of land for construction, is the lease to be registered in bodies of rosreestra. 1. the title documents for the land plot lease agreement, etc. 2. the design documentation for the pavilion. 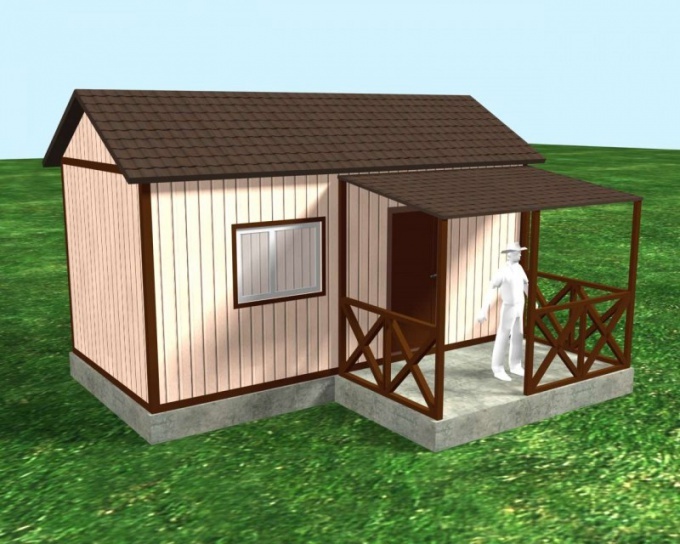 3. obtain development plan of land plot on which is located the pavilion. 4. the conclusion of state examination of project documentation at the pavilion. In different cases may be required other documents. Only after passing all these steps you can start directly the construction of the pavilion. 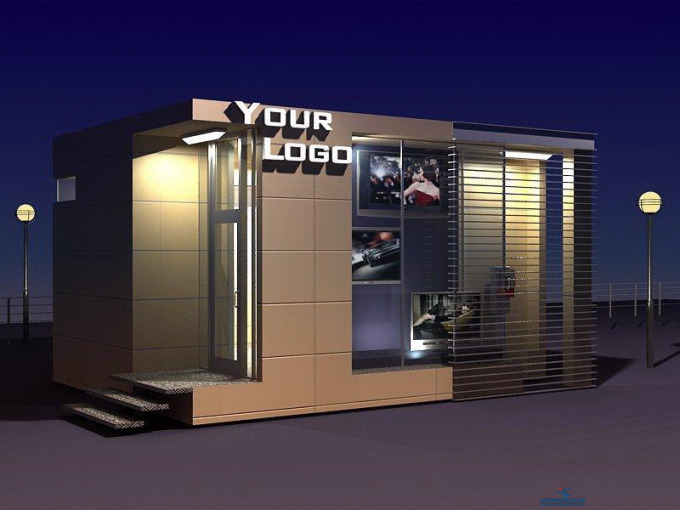 Renting a kiosk is a good start for those who want to try themselves in business. Rent a kiosk does not require large expenditures, and to sell at the kiosk could be basically anything (though for certain trade types will need a license). To rent a kiosk, it is necessary to carefully choose to perform the documents for the kiosk and sign a lease. 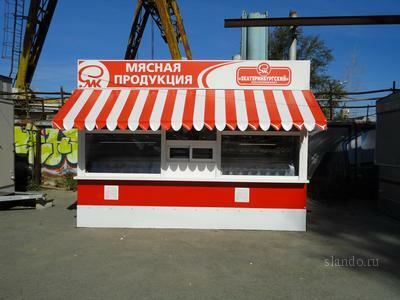 Kiosk - installable pre-assembled structure with a total area of not more than 10 square meters, equipped with commercial equipment without a trade hall calculated on one workplace of the seller, combined with the area in which such goods are stored. The success of trading through a kiosk location kiosk. Great place for kiosks and stop ground transport and underground, near the universities, offices. Accordingly, before you lease a kiosk, you need to decide what you are going to sell and find a kiosk located profitable. 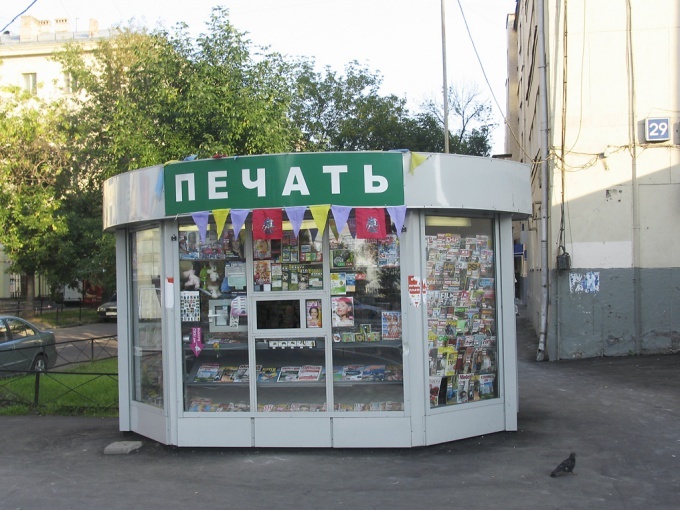 For example, close to the University it is best to put the kiosk and coffee and cakes, close to the metro with flowers, cigarettes, etc. Once you decide on the kiosk, you will need to contact the landlord and ask him for the documents on the kiosk. It is worth remembering that some of the booths relates to immovable property. According to law, the property should be considered to be the objects strongly connected with the earth. Real estate should be registered with Rosreestr. Should ensure that the landlord has registered the kiosk properly. - certificate of registration at the kiosk (if it is real property). If after analyzing the documents, you decide that the kiosk is designed properly, then you need to enter into a lease. The lease contract must be concluded in written form. Its essential terms (i.e., those without whom it would simply not be considered prisoners) are the subject of the contract (the kiosk) and rent (only if kiosk is real property). However, the amount of rent is better to determine the contract in any case. The lease of the kiosk, which is immovable property, for a period of more than a year will need to register in bodies of rosreestra. Today quite a popular form of small business is the opening of the shopping stalls and pavilions. But in order to open the kiosk, will undergo a pretty long procedure of conclusion of the contract of lease of the land. It can take quite a long period of time, up to several months. Protocol assessment of the site. Please contact the Committee of state property, which is located in the area in which you want to plot. Write the application on granting the land plot for construction purposes. Be sure to specify the location of the site and the area. After a month again report to the Committee and get a response. After receiving permission from the Committee of state property temporarily dike section and guide the placing of its cadastral registration. Then get cadastral passport of the plot. An independent evaluation of the provided area. Please submit a cadastral passport and Protocol assessment of a site in the state property Committee. In turn, he shall publish a notice in the Newspapers. If none of the citizens during the month will not complain, would be awarded the lease. Sign a rental agreement and pay the amount by which the assessed land in the result of the evaluation process. Depending on the appraised value will set the annual rental fee for the use of land. All of the above steps are necessary only in the case if you want to rent a plot without a purpose construction, that is, to install a kiosk, metal garage, a pavilion, and everything that can be easily disassembled and removed from the site. If necessary rent of land for construction, the procedure looks very different and is much more expensive. The recent policy of the state aims to reduce the number of temporary structures that worsen the appearance of the streets. So, increasingly, the state property Committee gives a waiver for the land lease for the kiosk. 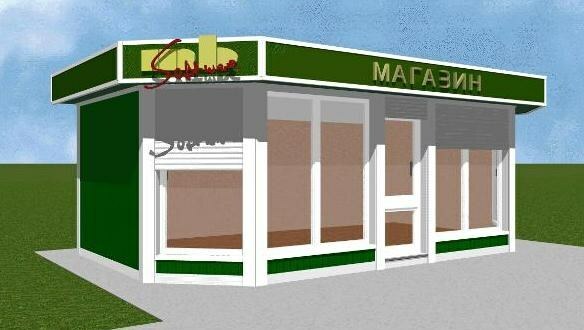 The best option would be to obtain the land for construction to build a small shop. In this case, you will legitimately occupy the land, and eventually will be able to purchase her property. Despite the growing competition in trade, businesses are often paying special attention to this line of business. 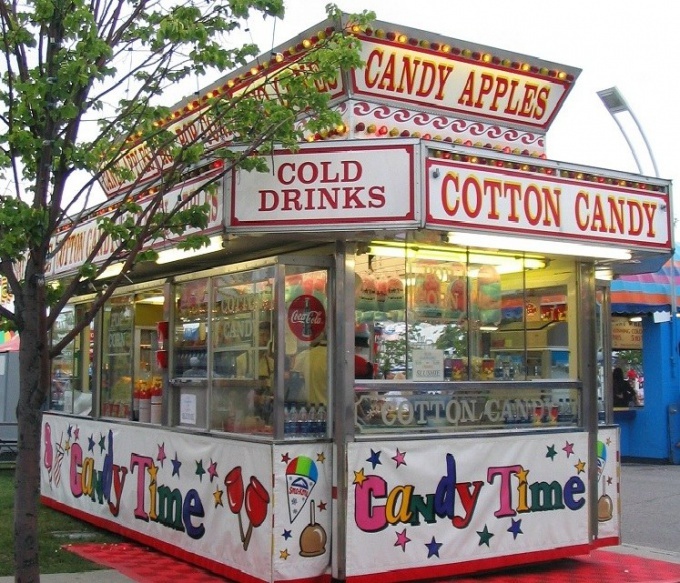 Concession stand requires less investment and attention than a large store, paying back faster, more mobile and has a lot of other benefits. - the Foundation or blocks for installation. To become a happy owner of the trade tent, you must obtain the registration documents to the tax authority. As a rule, enough to trade registration as an individual entrepreneur, but if desired or necessary to open a legal entity. Most suitable for trading tax system is the so-called "vmenenku". Upon payment into the Treasury of the imputed income tax payment is made in equal payments, depending on trade area, so no need to install the cash register and keep the staff accountant. Find land for installation of stalls. Pick a place where your product will be in greatest demand. It is best to place the tent in the city centre at the entrance to the street, it should be easy to approach and entrance. Land can be purchased or rented with individuals, organisation or the city administration. Surface for the installation of trade pavilion should be smooth. This is perfect asphalted or paved with paving area. If your stalls has the ability to move from place to place, and does not accommodate her to the Foundation, then make sure that she stood at some distance from the ground. A perfect place for such concrete blocks. Small pavilion will need two or three pieces. The tent must be installed level. If she stands on the blocks unevenly, it is necessary to enclose one of them any dense building material. Connect to the tent electricity. Don't forget to obtain special permission from the installation of the meter. Around Windows of the tent should always be dry and clean. So make a ditch for sewage and install a litter bin. In some cities, for installation of stalls required permission of the city authorities. Information on this issue you can get in the local administration. Making space for the kiosk or pavilion – it is very troublesome and time consuming. But if you decided to become the owner of the retail space – be patient and proceed with the registration of the lease contract of a land plot for your pavilion. Register in tax authorities as an individual entrepreneur or to make a limited liability company. Get articles of incorporation. Then look for a place under the pavilion. Please note that each region has their own standards and requirements for the installation of trade pavilion. For example, the prohibition on establishing them along main roads. Be sure to check the requirements of the Department of land and property relations. Write the application addressed to the head of the district (or locality) and submit it to the administration. 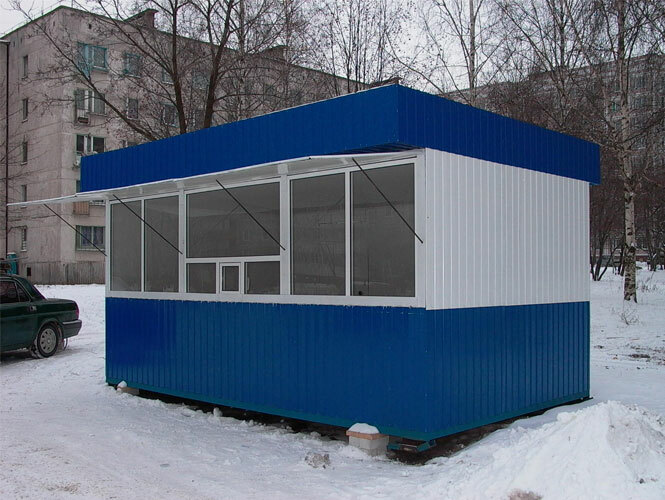 Specify the location where you intend to install the pavilion. Submit required documents: the layout of the shop, copies of all constituent documents and the Charter, the inquiry from tax inspection about absence of debts on taxes and fees, copies of NACE codes. Sign up for special Commission on short-term leases. If your issue will resolve positively, the municipality will send the petition. Where it will consider the management of architecture, land Committee at city hall and the Department of the consumer market. After that you will get a referral for a topographical survey. On the basis of which order then the architectural design of your retail outlet. Coordinate the finished project with the departments of Commerce, landscaping, architecture, land and property relations as well as regional (city) administrative technical inspection. Don't forget to get the opinion of ecologists, SES, traffic police, firefighters, Department of utilities and water utility. As well as coordinate the project with the Deputy and the Chairman of the Commission on short-term lease. Next package with all collected documents, please contact the land use office. After completing all the procedures, after receiving all necessary approvals, the property will sign a rental agreement. Having your instance, you can begin construction of trade pavilion. Much easier to buy a place under a pavilion on one mikrorynkov your city. In this case, all coordination will be the owners of the market. You just make the lease agreement. The construction or installation of the pavilion can be carried out on the land, decorated in the lease or in the property. To get the land, you must contact the local municipality to register or to participate in the auction, held in all regional centres in accordance with the instructions of the Land code of the Russian Federation. To make land for the installation or construction of the pavilion, please contact the district administration. Write a statement, present your passport with a mark about registration. Based on your statements, you will be put on the waiting list. If you want to land in a certain place which you have chosen, specify the location of this place. If the specified area does not belong to anyone as property and not leased, that is completely free, you will be asked to delimit and place in the lease or in the property. Land received in sequence, with the location specified by the local municipality you will also have to delimit and put on cadastral registration. Then you must produce the cadastral extracts and copies of land office of the district administration. You will be given a decision on the transfer of land ownership or contract of lease. The right of ownership issue in FPRC where you are required to present the resolution, certificate, statement, cadastral extracts and copies of all documents. If you signed a lease for a term exceeding 1 year, register it in PPRC by submitting an application, passport, original and photocopies of the resulting contract. If you want to land quickly under the pavilion, take part in the auction. To do this, apply to the administration, will pay for the participation in the auction of 15%. Winning plot you will get for rent. As soon as the pavilion will be constructed or installed, you can transfer the land to the property. The cost of land will not exceed 2.5% of the cadastral value. On the basis of the decision on the transfer of the land lease you will be able to issue title in PPRC. For this you need to contact the centre, fill out an application, pay a fee for the services, passport. After 30 days you will receive a certificate of ownership. FPRC – Federal office of the state registration center. Any relationship associated with the lease, governed by Chapter No. 34 of the Civil code of the Russian Federation and are executed through a bilateral agreement between the owner and the tenant. To take in rent a stall, you must find a suitable option and sign the document. - witnesses with the documents. To find a suitable option, you can, if you contact a real estate Agency or be familiar with the information in local Newspapers and on television. Agree with the owner of the stall about a meeting where you will discuss all your questions regarding rental opportunities, cost and other conditions. If a verbal agreement you are satisfied with, proceed to a written contract. At the conclusion of the document you'll need two sheets of paper of A-4 format, pen, passport of the owner and your two witnesses on the part of the owner and the tenant with the identity documents. Before signing the contract, review title documents on the stall. To execute the contract of lease with the owner, or a Trustee of the owner. If in front of you is the tenant, he must obtain notarized permission from the owner to have the opportunity to take a stall in the sublease. Directly in the contract, specify all the items governing the relationship. The contract should contain an introductory part, when, who, whom, where and about what the paper concluded. Be sure to specify the address, the name and number of legal documents. In the main part, specify the timing, amount, ways of payment for the rent of the stall, permission to use. For example, if you rent passed a stall for small retail trade, you are obliged to sell only small-scale retail. When redesigning activities you will have to get permission from the owner or from to specify a condition that a stall will be used for trade, the profile can be omitted. In this case, you'll be able to decide whether you want to sell retail or have a look at the point that sells wine or beer by the glass. Additional conditions you can specify or do without them. If there is any disagreement, the court will proceed from the instructions of Chapter No. 34 of the civil code. At the bottom of the document put the signature, date, ask to sign and specify the passport data of those present witnesses. The agreement, concluded for a period of more than 12 months is subject to state registration in the regional registration chamber.